After earning my PhD at the University of North Carolina, I taught at Duke University and Boston College before coming to Duquesne in 2014. I study post-World War II German, West European, and transatlantic political and intellectual history. My first book, History after Hitler: a Transatlantic Enterprise (Intellectual History of the Modern Age series of University of Pennsylvania Press, 2018) analyzes the intellectual exchange between German and American historians of modern Germany from the end of World War II to the 1980s. In contrast to the prevailing interpretation- which views American historians of modern Germany as a monolithic group of left-liberal scholars- I emphasize their methodological, interpretive, and political diversity. 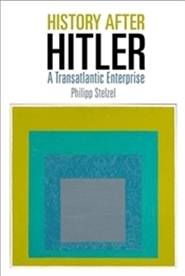 My book explores the political dimensions of historiography and complements a growing body of intellectual histories of the Federal Republic: Historians at the center of my analysis participated as public intellectuals in political debates regarding the notorious problem of coping with the Nazi past. They believed that the historical education of West German citizens would bolster the Federal Republic's democratization. The study also contributes to the scholarship on post-World War II transatlantic intellectual and cultural exchange, as it corrects simplistic arguments regarding the supposed "Americanization" or "Westernization" of the Federal Republic. It reveals the selective appropriation of interpretations and methods prevalent in the United States and emphasizes that American scholars, too, benefited from the transatlantic conversation. My current project, Oppressing the Majority, is a contribution to the history of the global phenomenon of populism. It explores the trajectory of an argument that simultaneously emerged in Western Europe and the United States in the late 1960s and early 1970s, namely that a number of different actors, including political elites, activists, and the media, oppressed the voices of the "silent majority" of the respective populations. Oppressing the Majority follows the argument's trajectory in West Germany, Great Britain, and the United States in the subsequent four decades and places it in the political, socio-economic, and cultural context of these countries. In 2018/19, I am participating in the multi-disciplinary project "A German-American Dialogue of the Next Generation" at Johns Hopkins University's American Institute for Contemporary German Studies, Washington, DC. "The Second-Generation Émigrés' Impact on German Historiography" in Andreas Daum, Hartmut Lehman, and James J. Sheehan (eds. ), The Second Generation: Émigrés from Nazi Germany as Historians (Berghahn Books, New York/Oxford, 2016), 287-303. "Transnationalism and the History of Historiography: A Transatlantic Perspective," History Compass 13:2 (2015), 78-87. "Working Toward a Common Goal? American Views on German Historiography and German-American Scholarly Relations during the 1960s," Central European History 41:4 (2008), 639-671. "Fritz Fischer and the American Historical Profession: Tracing the Transatlantic Dimension of the Fischer-Kontroverse," Storia della Storiografia 44:1 (2003), 67-84.